Craig's professional training began in his hometown of Ballarat, Australia. He later moved to Melbourne and appeared in productions including West Side Story, the Australian and New Zealand tour of The Danny La Rue Show, Jack and the Beanstalk and Ladies Night (the hit comedy play in which he played the part of "Norman"). 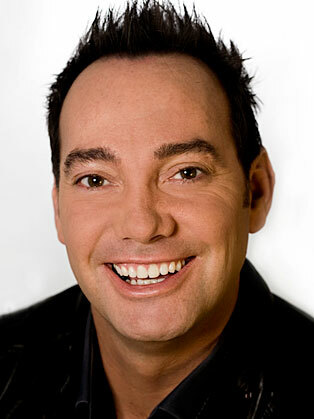 Craig also featured in numerous television commercials in Australia, notably, he was the face of the very first Kentucky Nugget advertisements for KFC and the voice of the Macleans toothpaste commercials. He also appeared in TV specials including The Don Lane Show, The Mike Walsh Show and special-guest spots on The Midday Show. On arriving in Europe Craig joined the famous company at the Lido Du Paris as a dancer in Panache and then as principle singer in Formidable at the Moulin Rouge, finding himself a year later in the UK tour of Cats in Edinburgh and Dublin. Craig also appeared in the original concert version of Jesus Christ Superstar. In the West End, Craig has performed in Cats, playing the part of 'Munkustrap' at the New London Theatre, Miss Saigon at the Theatre Royal, Drury Lane as Dance Captain and was an original cast member playing the part of 'Harry' and Dance Captain of Crazy For You at the Prince Edward Theatre. This took him to New York and Baltimore in the USA then to Germany at the Schiller Theatre, Berlin. Craig then went on to re-create the show for Susan Stroma in South Africa. Since the end of 1994, Craig concentrated on his directorial and choreographic career, but in recent years, has made a return to the small screen, appearing as a judge on the hit TV series Strictly Come Dancing.